Hello everyone!! Today is an exciting day over at Taylored Expressions....it is Release Day!! It is a very special release because it is Taylored Expressions 6th Birthday!! To celebrate, along with new stamps and dies, Taylored Expressions is releasing their very own line of patterned paper and coordinating cardstock, as well as their own Embossing Folders. 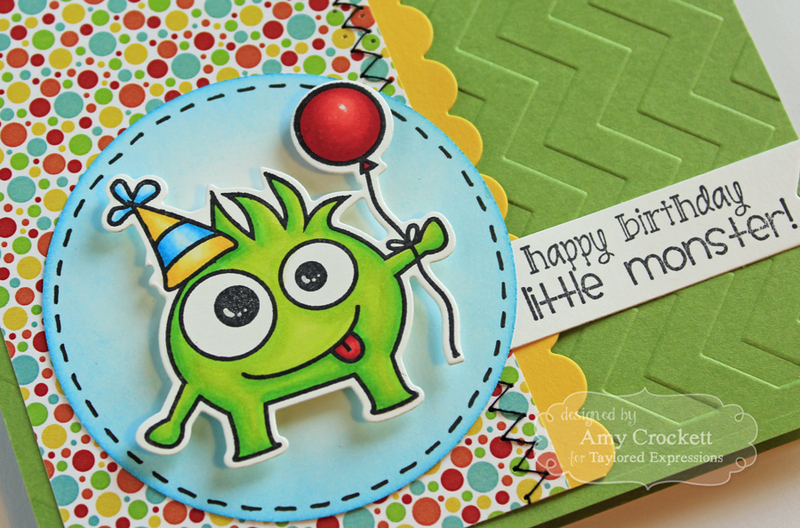 On this card, I used the new Party Monsters coordinating dies set along with the new Double The Fun papers and the new Zig Zag embossing folder. I stamped this fun little Party Monster and then colored him in with my Copic markers. I used the new coordinating Party Monsters dies to cut him out and then mounted him on a 5x5 card base that I have embossed with the new Zig Zag embossing folder. 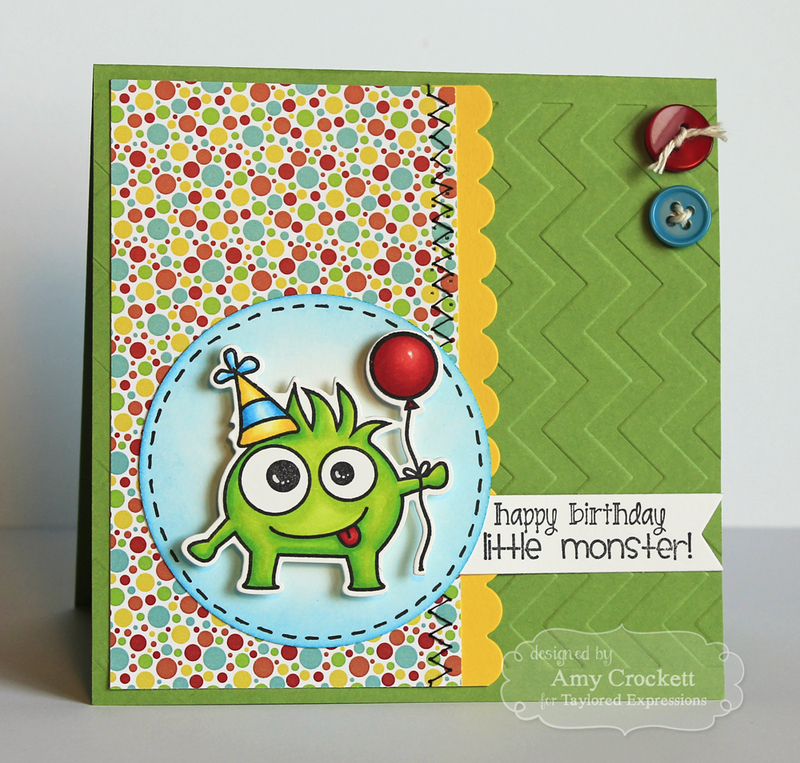 Isn't the colors in this new 6x6 Double The Fun paper pack so fun?!? I love how well it makes my little monster POP! I also used the Small Scallop Border die and finished it off with a bit of stitching with my sewing machine and also some pen stitching and buttons. Don't forget to visit the TE Blog for a fun sketch challenge with a $250 prize gift certificate. What a sweet card Amy. Love that darling monster. I think I will have to have this set... so awesome! Love the papers and colors you used. Such a darling card, Amy! Love your party monster!